Why do some businesses fail while others succeed? Will offering the lowest prices in town lead to success? Or is it more important to have the highest-quality products? While those factors certainly matter, the easiest way to improve your sales figures is to improve your relationships with customers. 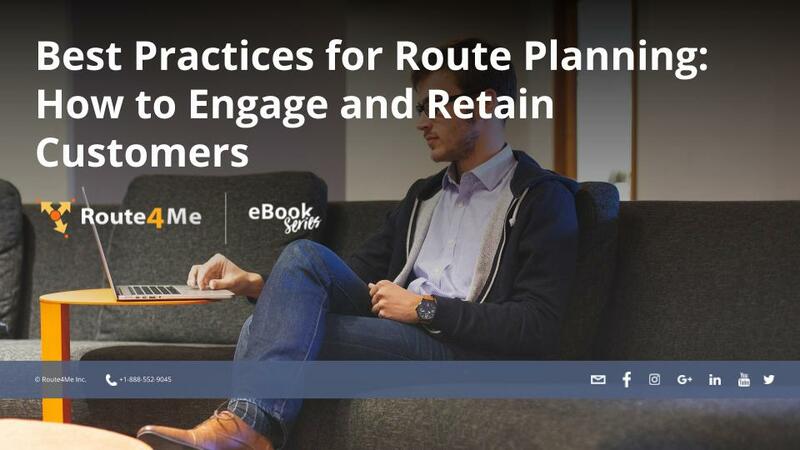 Adopting route optimization software is the key to making your customers stick with you. When equipped with productivity-improving features like GPS tracking, route planning software makes it possible for your drivers to show up on time, every time. Your customers will love that! Planning routes manually is a real pain in the rear. In addition to figuring out which roads your drivers must take to get to your customers, you also need to account for traffic, construction, weather, customer availability, and other factors. That can take hours, and after all that work there’s no guarantee that the routes you come up with are efficient or even accurate. With route optimization software, all you need to do is plug in your customers’ addresses, and then your 100% accurate and optimized route will be ready for you in 30 seconds or less. Of course, optimized routes won’t do you much good if your drivers don’t actually follow the routes you give them. That’s why you need to make sure the route planner you invest in has a GPS tracking feature. With GPS tracking, you’ll always know where your drivers are. Whenever you want, you can check in on a driver and confirm that they’re sticking to their route and staying on schedule. Speeding is a waste of gas, and it puts your drivers at greater risk of getting into an accident. GPS tracking will also show you how fast your drivers are going. When a driver starts speeding, you can catch them in the act and tell them to cut it out immediately.